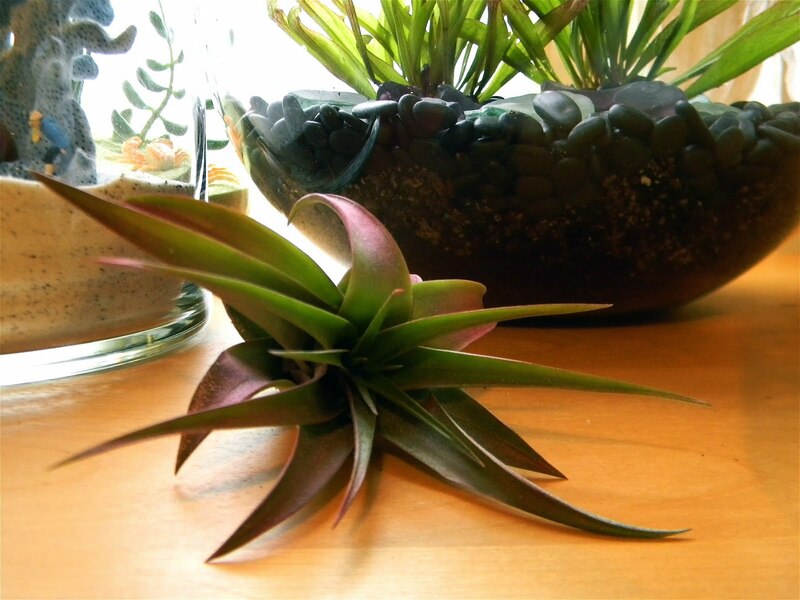 You've seen these epiphytic airplants displayed in terrariums, vivariums, and on wood mountings in a la mode shops and restaurants throughout the Northwest, in Portland at Clyde Commons, Stumptown at the Ace Hotel, Solabee, New Seasons and more. Magazine pages are press-hot with modern reintroduction efforts to convince you you want one.....they're strangely appealing, so easy to care for, au courant. But what are they? And where do they come from? They look like plants from outer space, and they come from...the internet, of course. Those of you in the Bay Area (or with internet access to the Bay Area), seek out Paxton Gate SF on Valencia to find a unique selection of hand-blown vases in miniature. The Hudson vase is by far the coolest, if you can find it in stock. 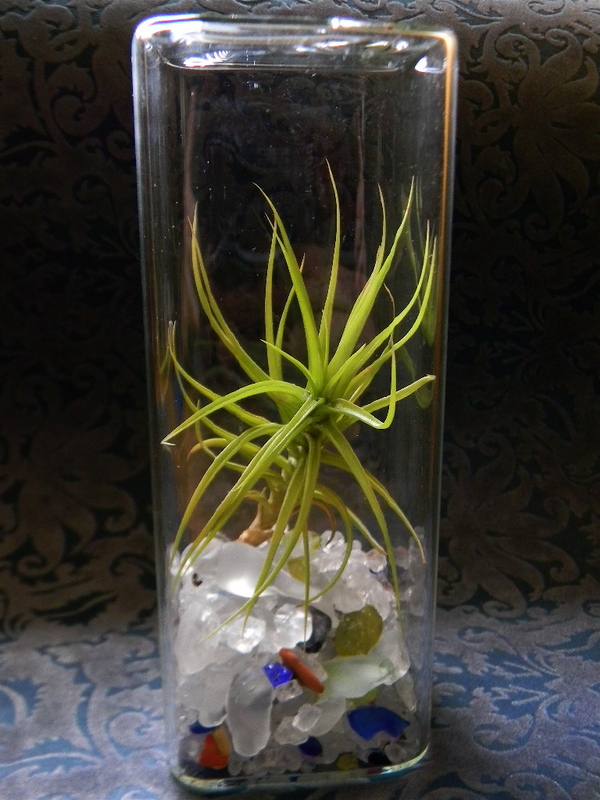 It's a 3-inch globe with 3 tiny "legs", and is the perfect size to house a very miniature airplant. It's inconspicuously alien, complementing a wide range of personal styles indoors. And due to the persuasiveness of literature, it's selling like crazy. SF neighbor Flora Grubb also sells them in her store. Her photos are up at http://www.floragrubb.com/idx/index.php. They don't require a lot of care. Due to that fact, vendors will tell you you can't kill these, but you can. So don't feel too badly if you do. They're relatively inexpensive, and worth a second or third try. The more research you do about the variety you purchae, the better success you'll have. 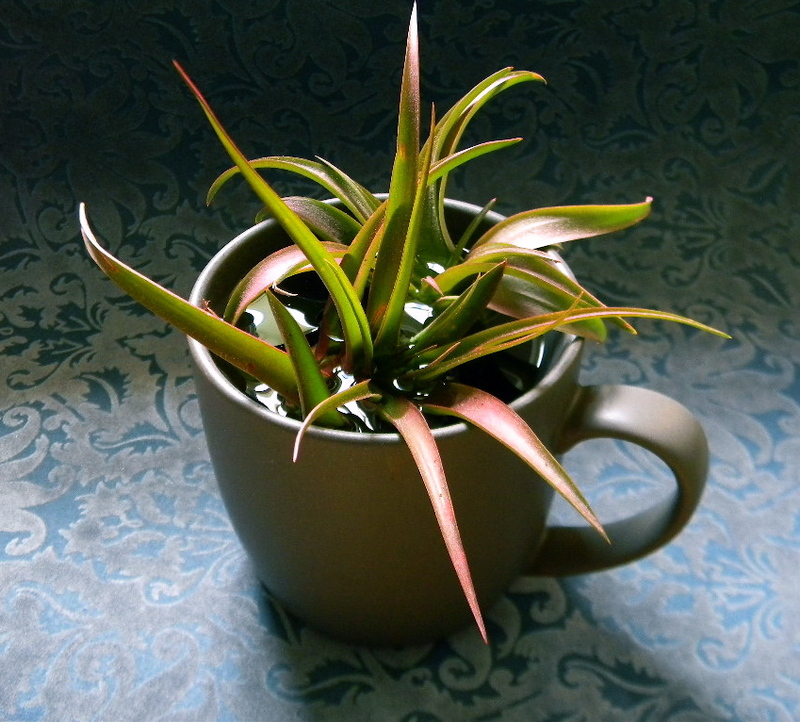 Not all Tillandsias are created equal. But it's not completely inaccurate to generalize that most are happy with bright, indirect light and regular misting with or soaking in distilled or chlorine-free room temperature water. 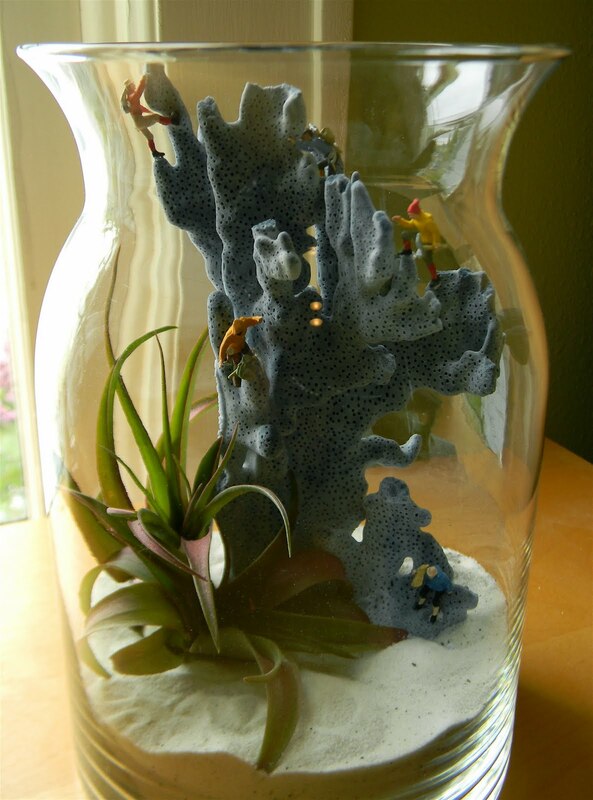 For a broader selection that what you'll find in stores, try ordering online from Rainforest Flora, at http://www.rainforestflora.com/. It's where Miss Grubb, and likely the whole west coast gets theirs. Call and ask for Aaron for a little expert advice on caring for your purchase.